1. 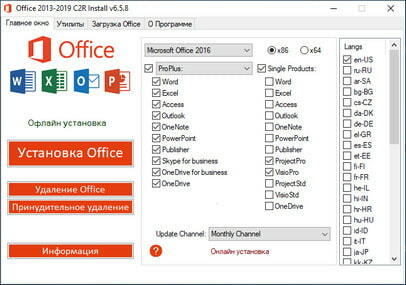 Uninstall Office via (Control panel) applet "Add or remove Programs". 2. Uninstall Office using the "Force Remove Office" and restart your computer. 6. Start KMSAuto Net 2016 and click "Activate Office". New Office 2016 Deployment Tool.